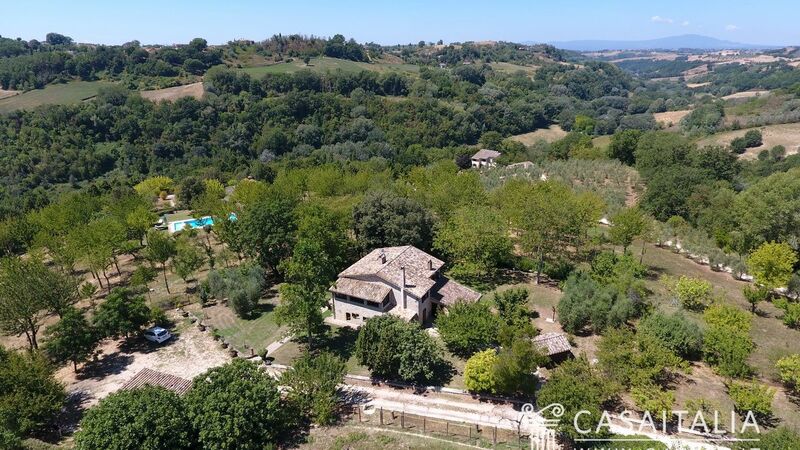 Agriturismo Le Querce is a large property for sale on the border between Lazio and Umbria, comprising several farmhouses and surrounded by around 28 hectares of land with swimming pool, in a hilly and panoramic location. 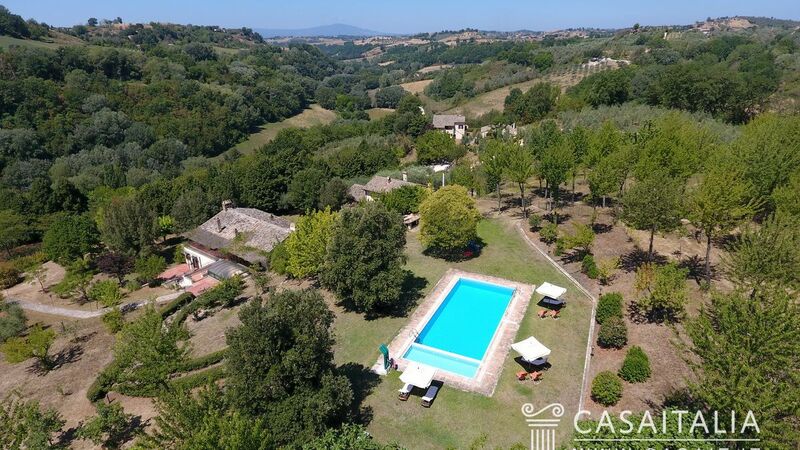 The strip of land which forms the border between Southern Umbria and Northern Lazio consists of leafy countryside and a thriving, unspoilt natural landscape. 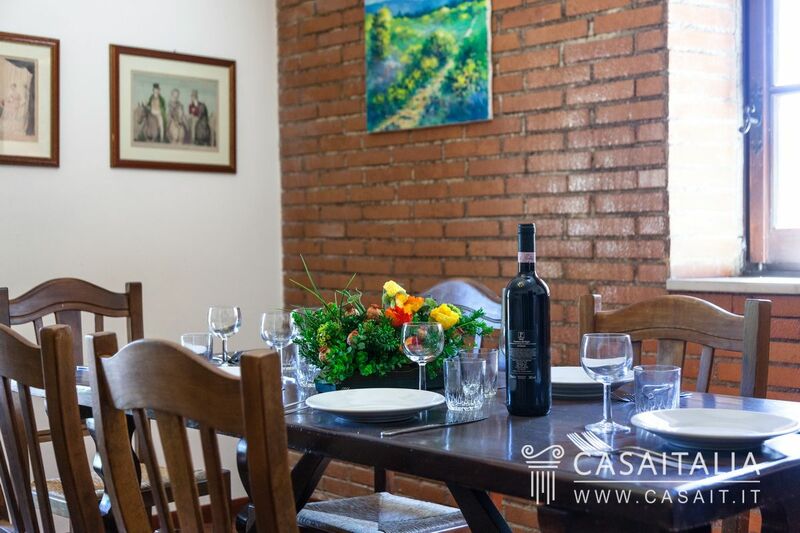 Known as la Sabina, the area has a deep-rooted history connected to the famous Farfa Abbey and the Papal State. 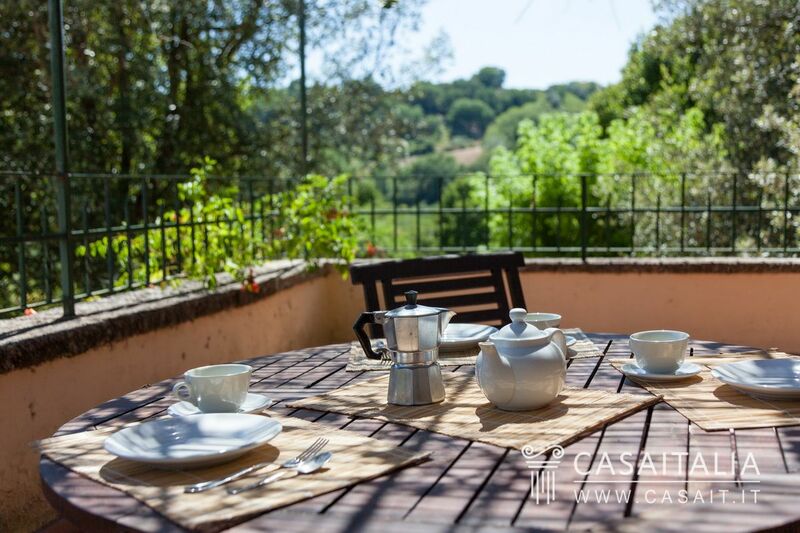 The rolling hills of Lazio gently ascend to wooded uplands whose peaks are covered with medieval fortresses and little villages which are still inhabited today. 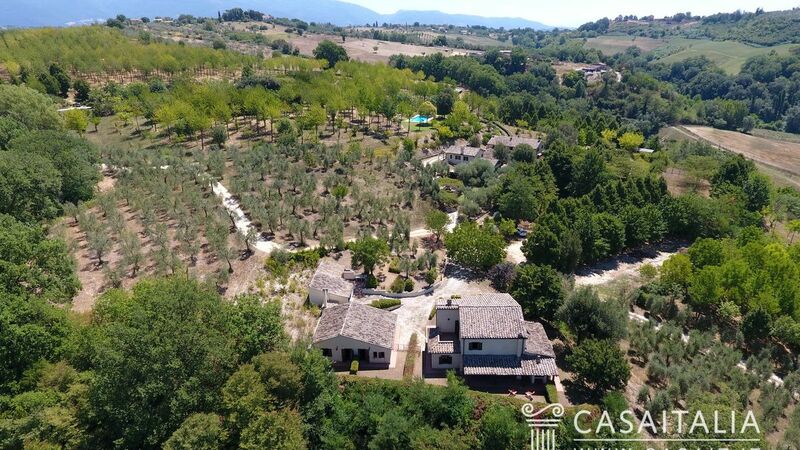 Agriturismo Le Querce is situated halfway between Calvi dell’Umbria (11 km) and Cantalupo in Sabina (14 km). 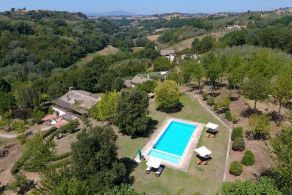 The property is around an hour from Rome (60 km) and 17 km from the Rome-Florence junction of the A1 motorway. 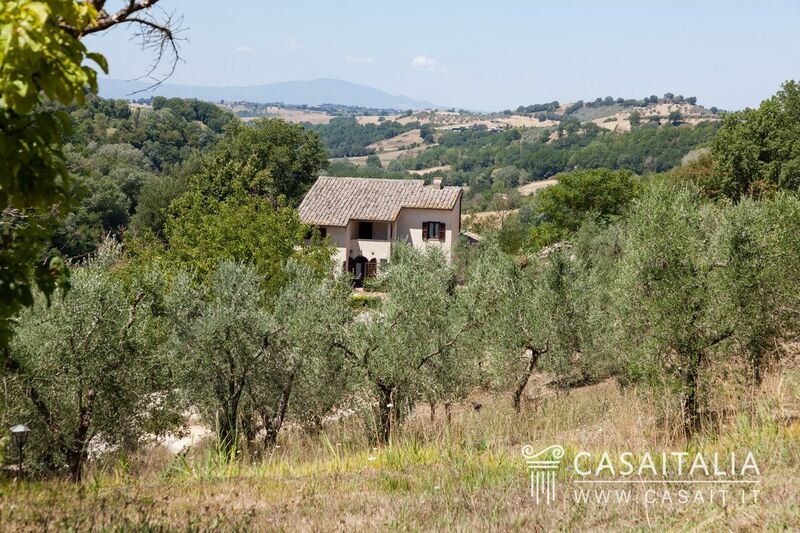 The nearest town for daily purchases is Tarano, just 2 km away. 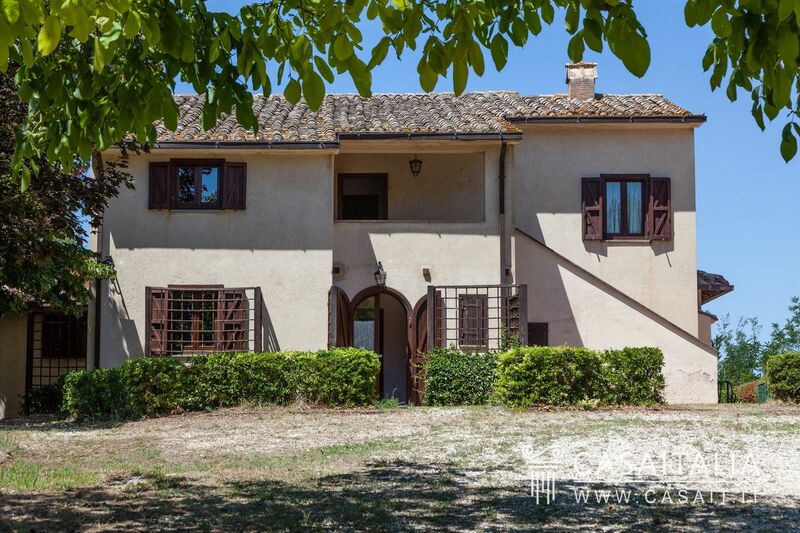 For those coming from abroad, the nearest airports are Rome Ciampino (79 km) and Rome Fiumicino (96 km). 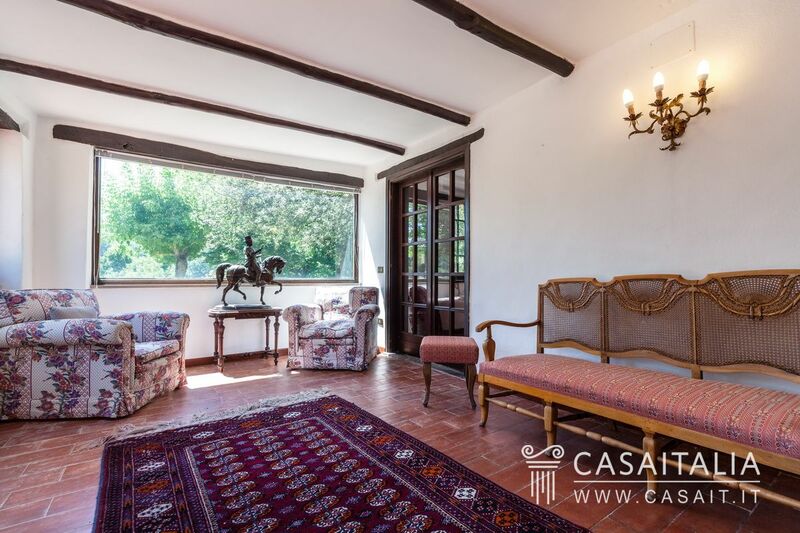 The property comprises various farmhouses, close to each other, currently used as guest accommodation and restaurant, plus a large storehouse and a few small buildings used as stables. 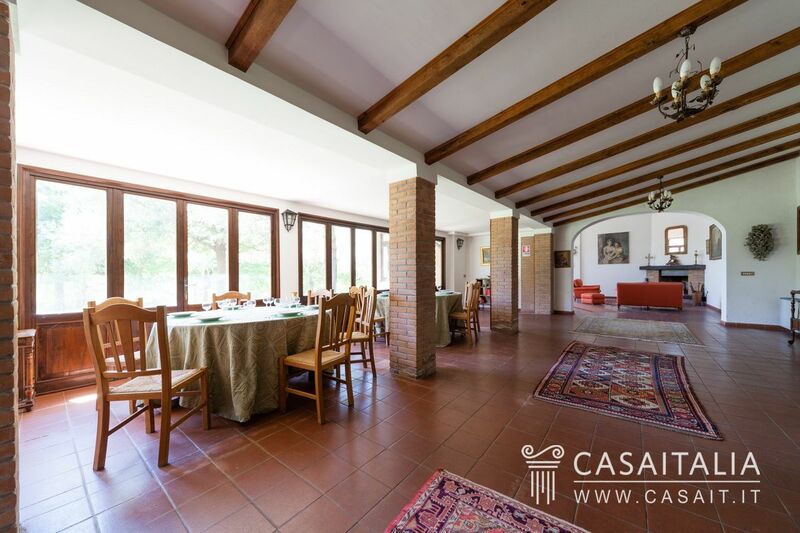 The farmhouse is comprised of two buildings, connected by a closed canopy with large windows, and measures around 648 sq.m in total. 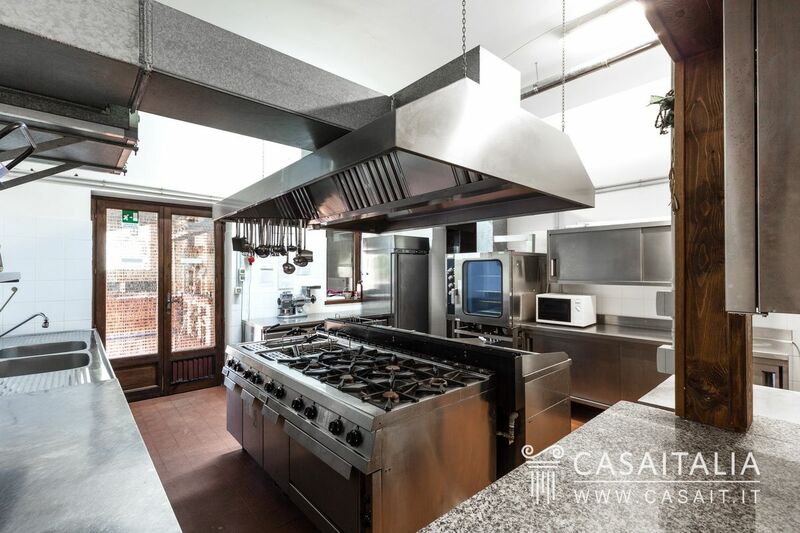 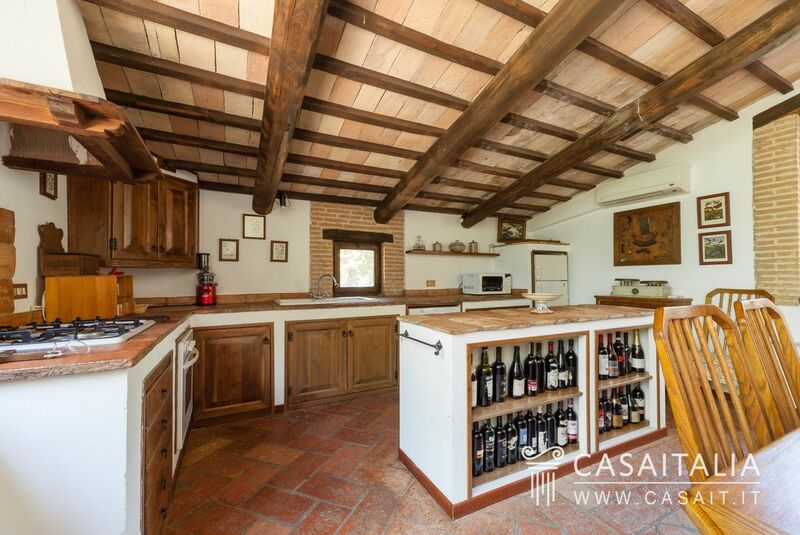 The first building houses the restaurant and comprises the kitchen with scullery and storeroom in the back, bathrooms, two restaurant rooms (one of which is in the canopy with the large windows which connects it with the farmhouse), oven and store cupboard. 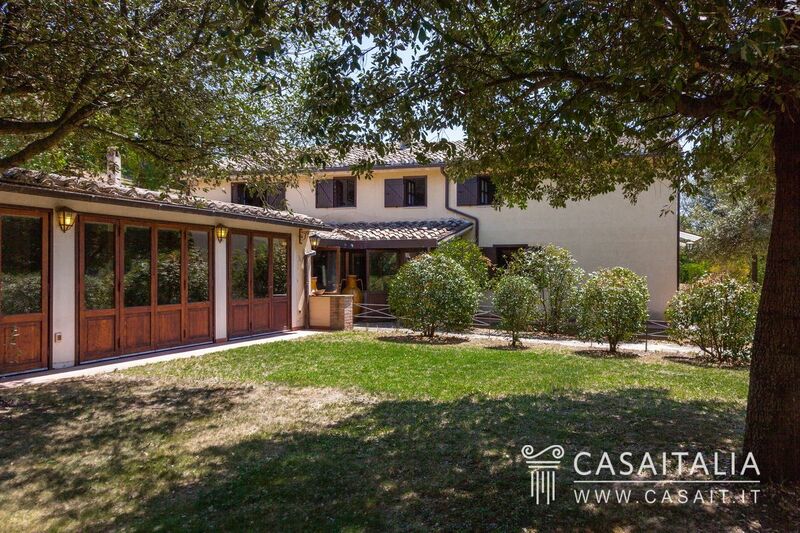 Outside there is a porch with access to the kitchen. 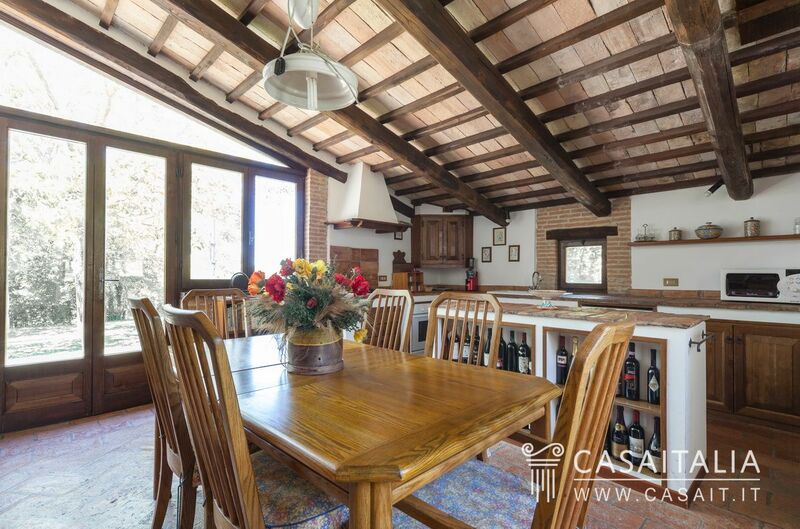 On the first floor there is a kitchen/living room, two bedrooms and a bathroom. The other building houses three rooms on the ground floor connected to the restaurant and used as a living room, bathroom, veranda, and a few areas in the back used for storage and cellar space. 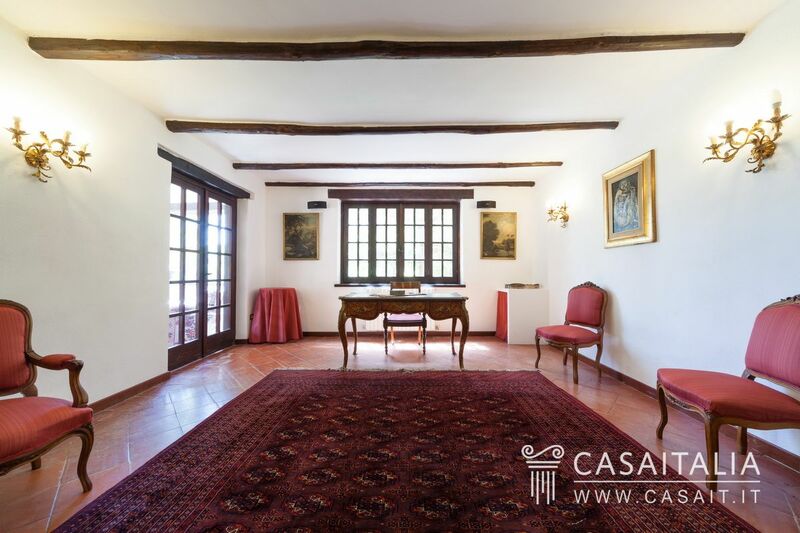 The floor above, accessed via both internal and external staircases which also lead to a large terrace, comprises 3 two-room apartments with kitchen/living room, bedroom and bathroom. 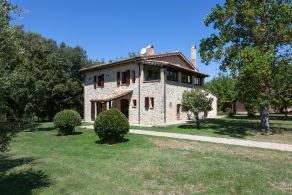 Measures aroun 256 sq.m over two floors. 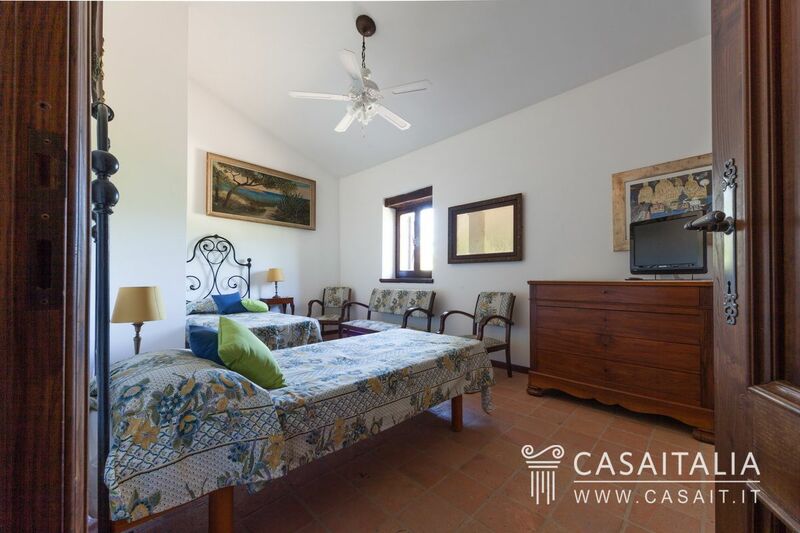 - Apartment with living room with kitchenette, bedroom and bathroom. 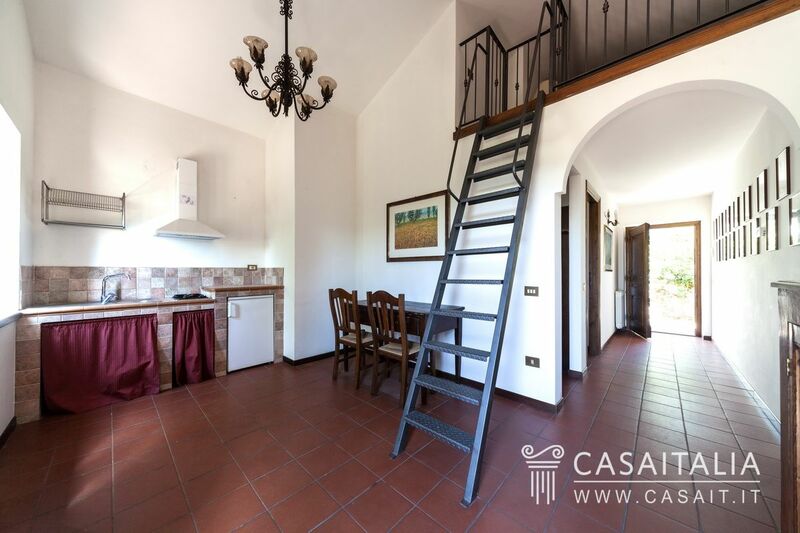 On the first floor there is another apartment, accessed by an external staircase and comprising hall, kitchen, living room, two bedrooms, two bathrooms and two terraces. 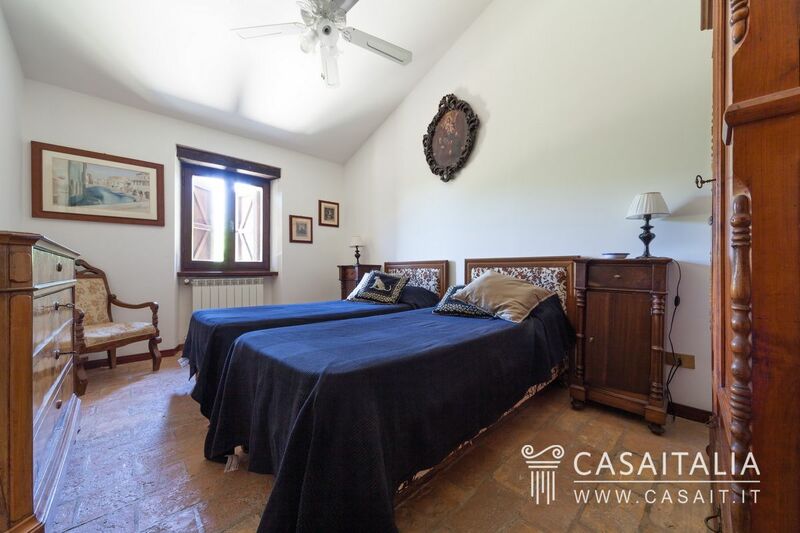 Measuring approximately 89 sq.m, with one floor and comprising two two-room apartments with living room with kitchenette, bedroom and bathroom. 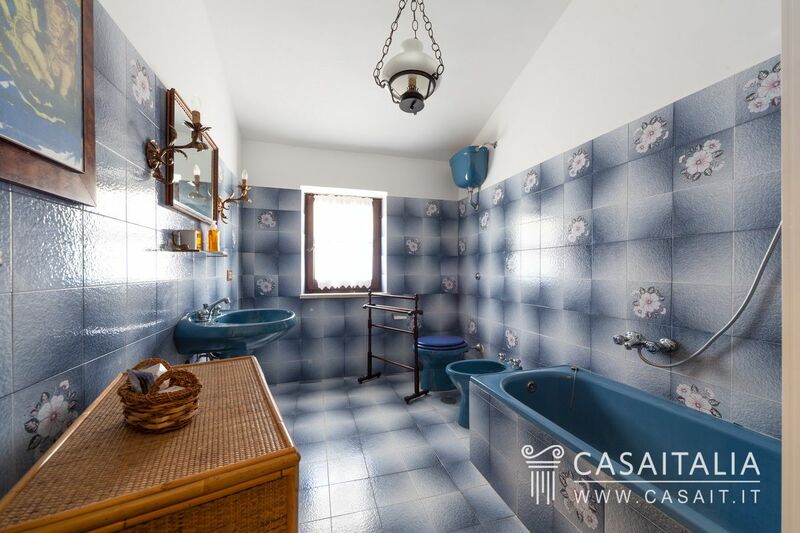 Measuring approximately 45 sq.m, also on one floor and comprising one two-room apartment with living room with kitchenette, bedroom and bathroom. 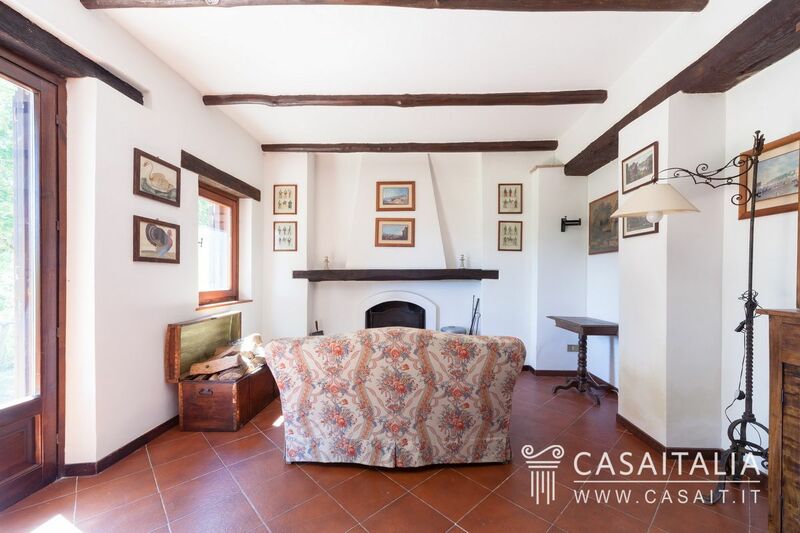 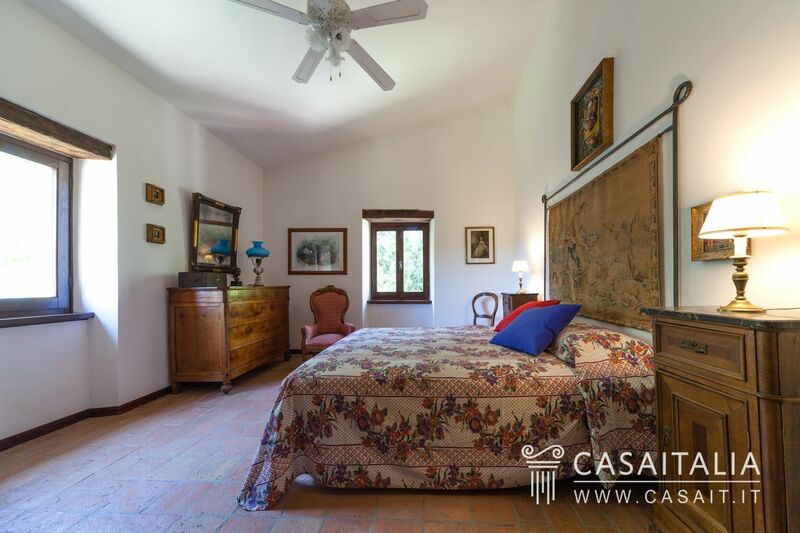 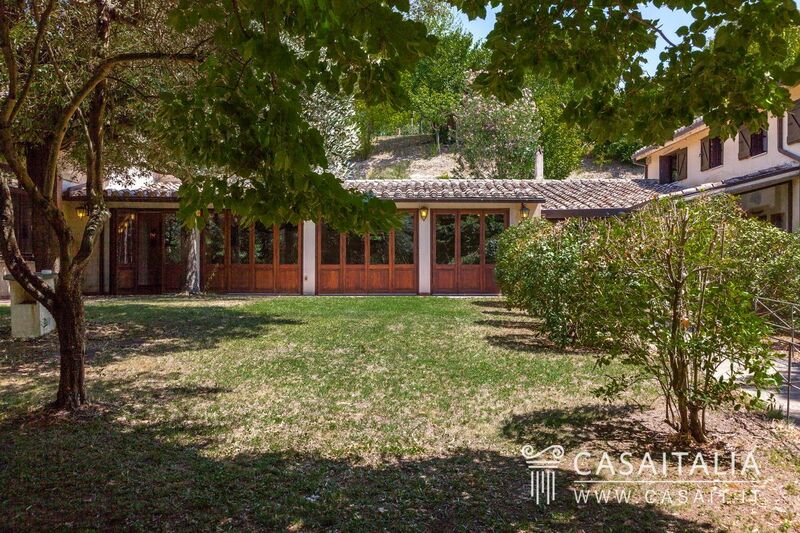 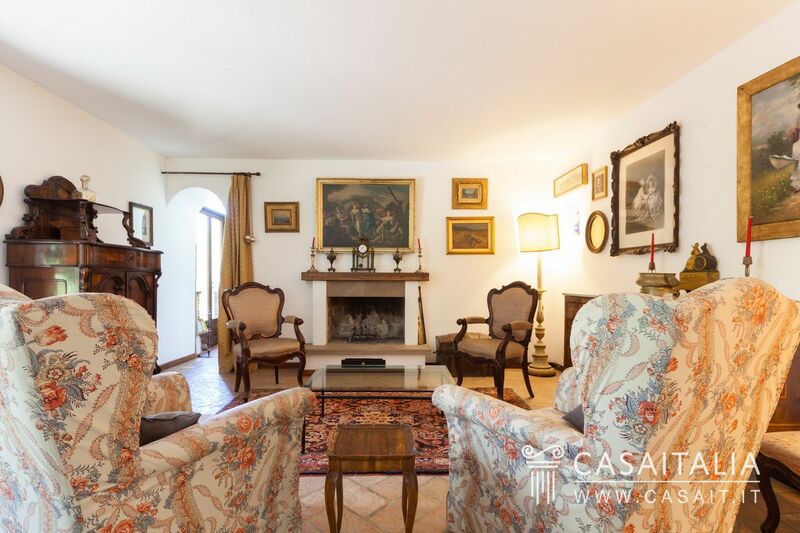 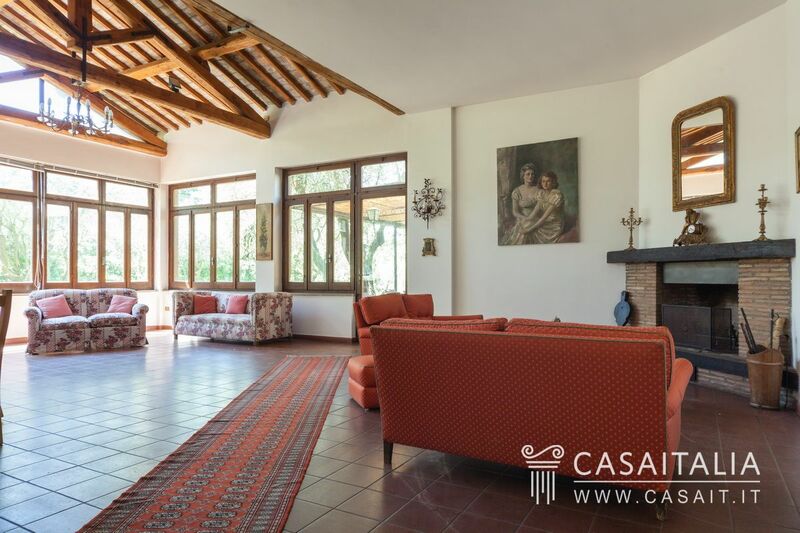 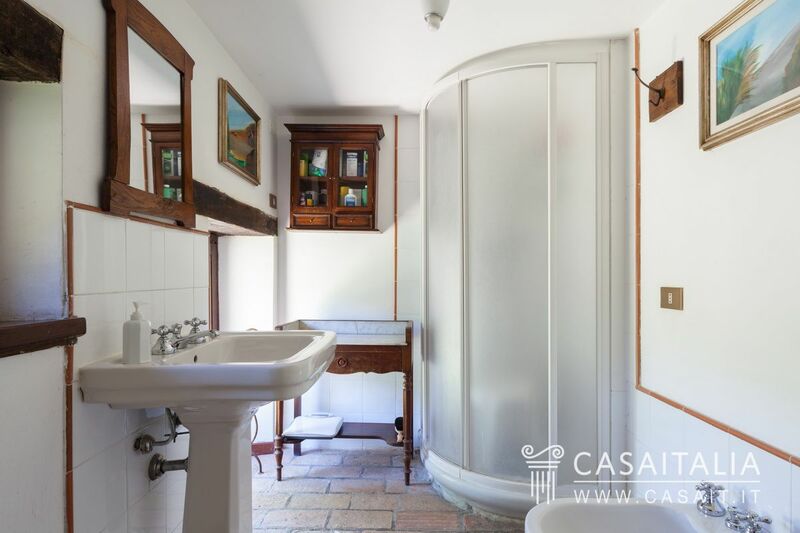 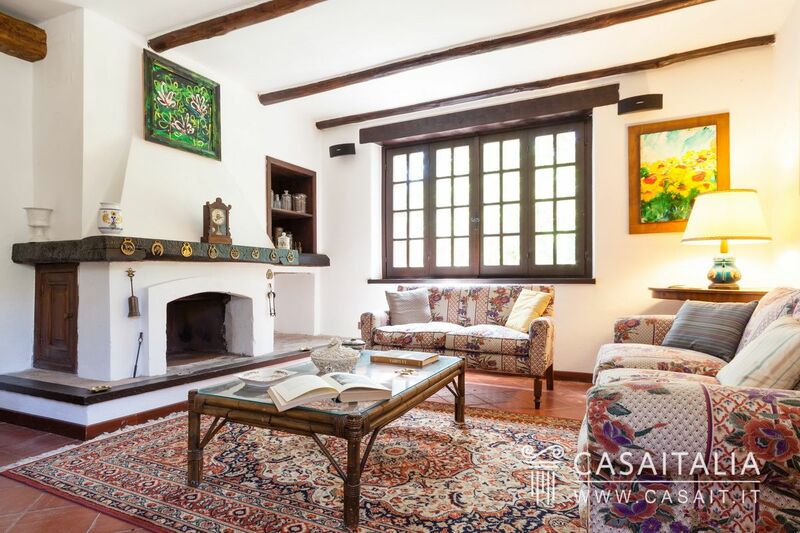 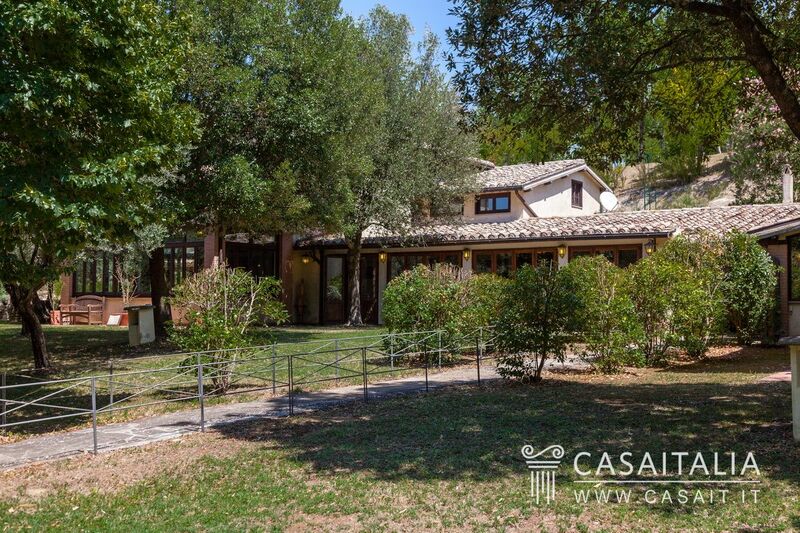 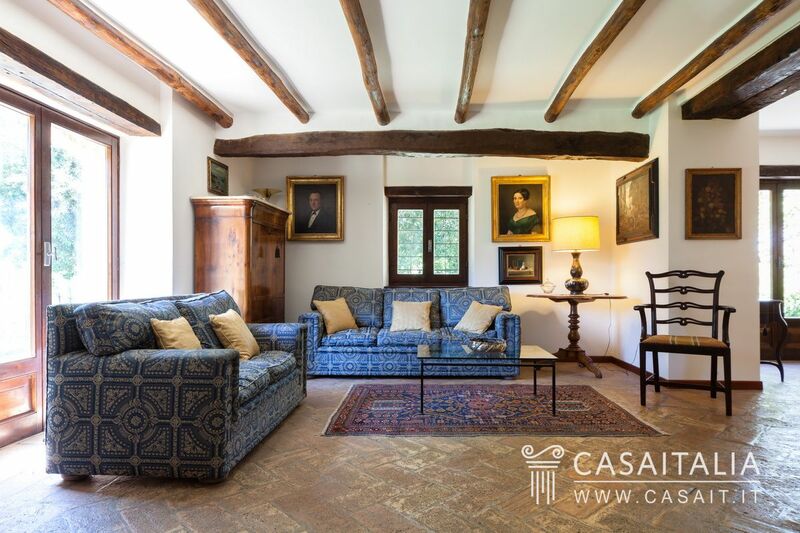 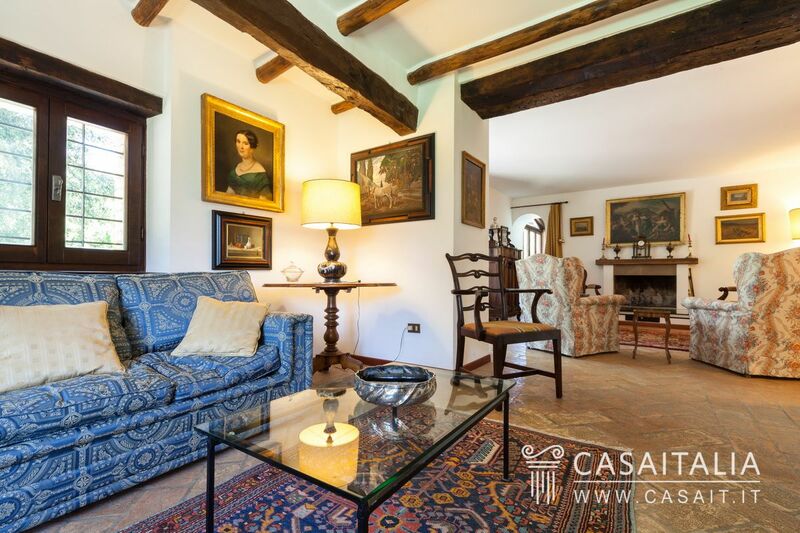 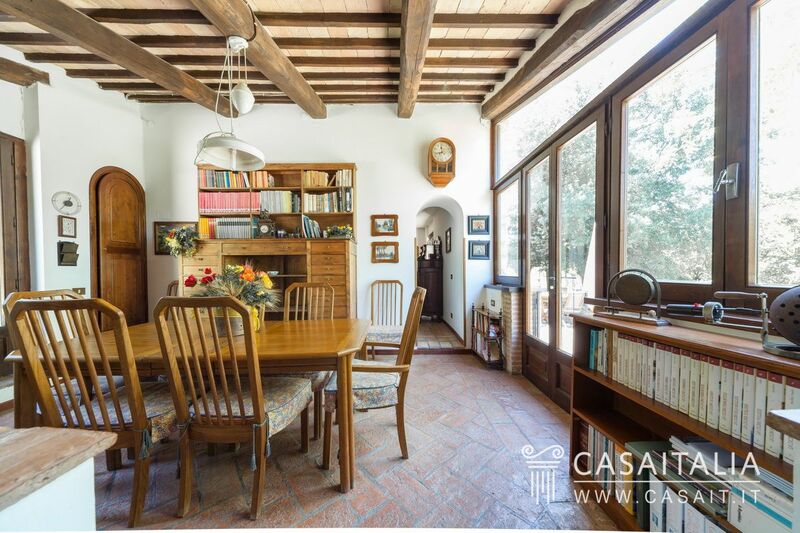 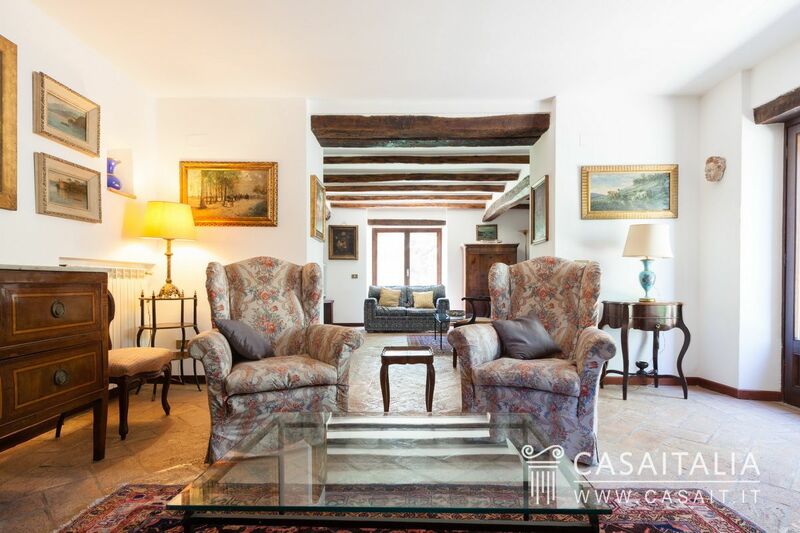 This historic farmhouse has two floors, measuring approximately 233 sq.m in total. On the ground floor there is the living area, with triple living room, kitchen, bathroom and cellar, while the first floor comprises the sleeping quarters, with three bedrooms, two bathrooms and a glazed porch. 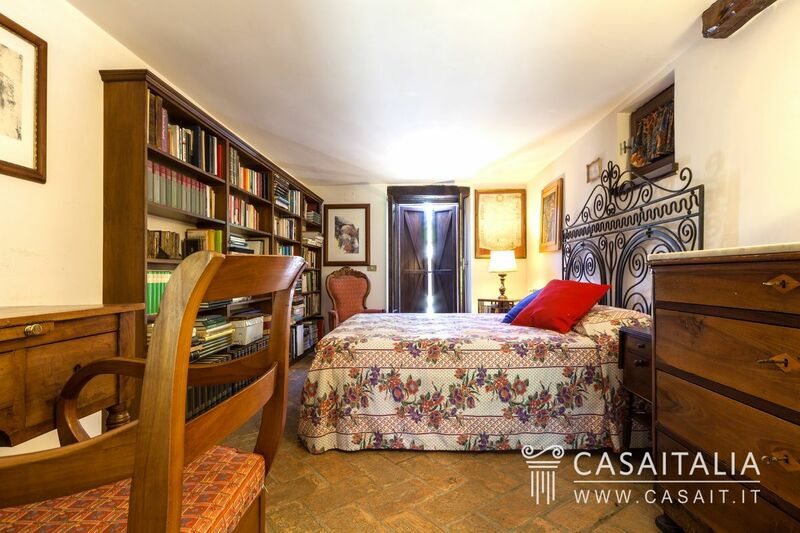 Measuring approximately 45 sq.m on one floor, and comprising living room with kitchenette, bedroom and bathroom. 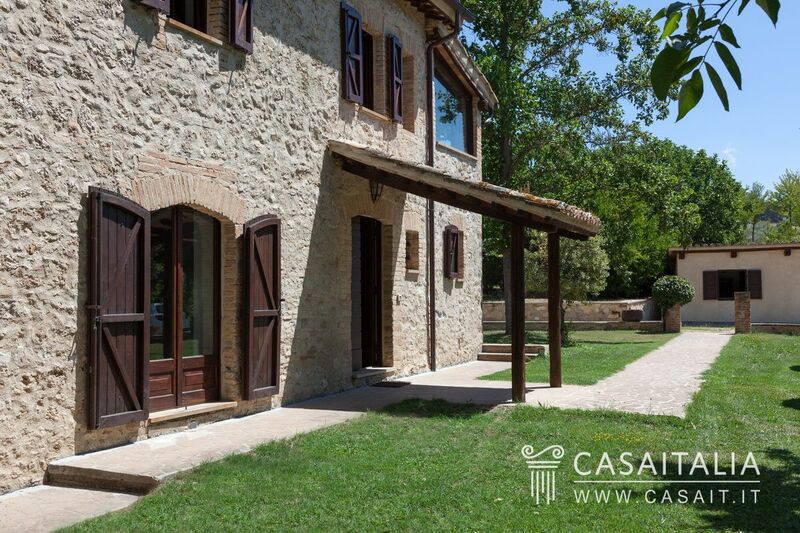 Measuring around 247 sq.m, with three large spaces inside for storage and parking of agricultural machinery. 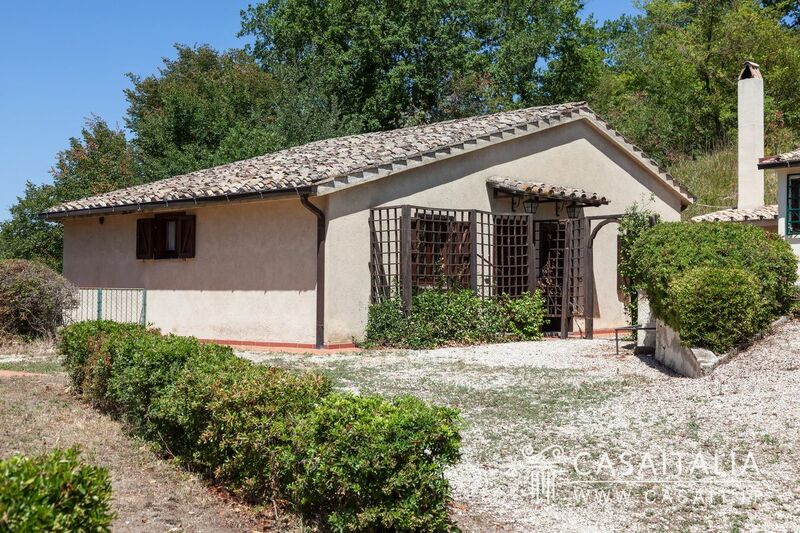 Finally, the property includes a 60 sq.m building used as a barn for animals. 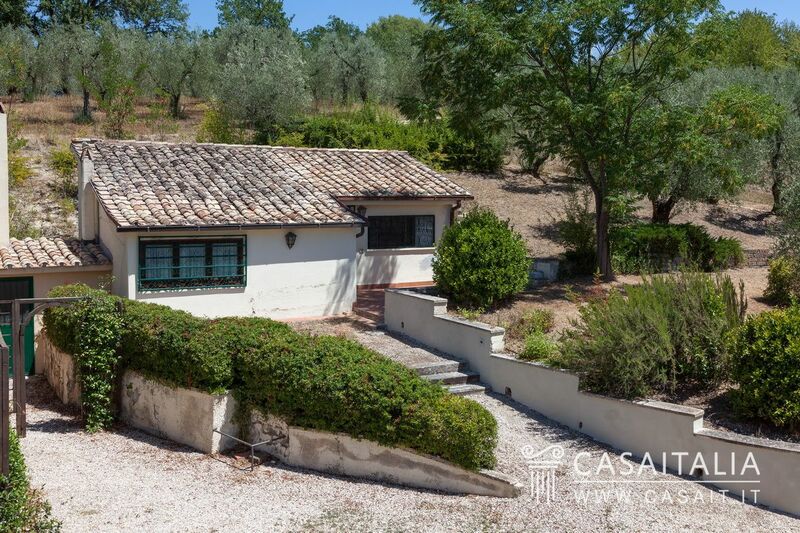 The property is in good condition and is ready for immediate use. 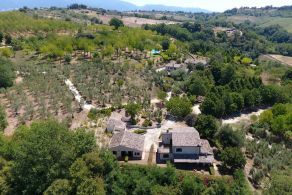 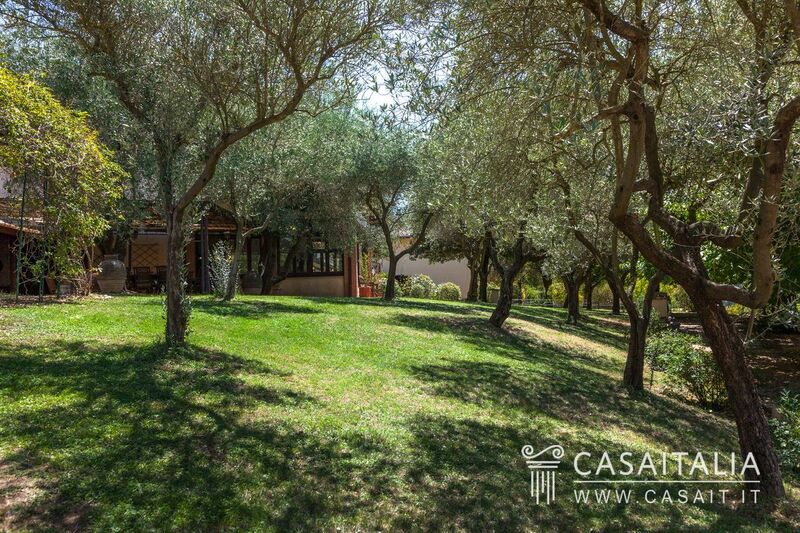 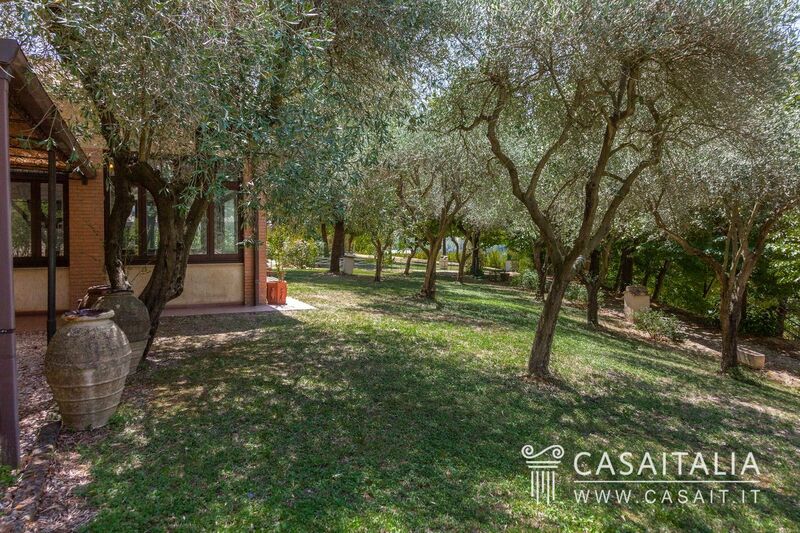 Within the property there are 28 hectares of land with swimming pool, an olive grove in production with around 300 trees, a mixed orchard, woodland and fields which could be used as arable land. 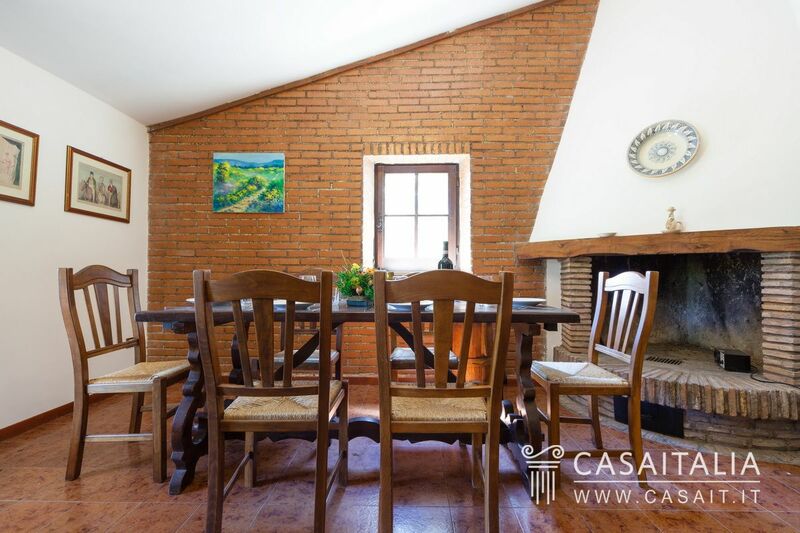 The farm is currently used as an agricultural business and as tourist accommodation, and thanks to its size and the variety of buildings on the property, the ideal option is to continue using it in this way. 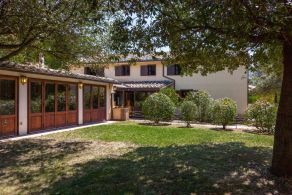 The location makes it interesting both as a place to stay and a starting point for day trips to Rome and some of Central Italy’s other important cities and villages, and as a place to relax for those from the Capital who want to spend a few days away from stress and in contact with nature. 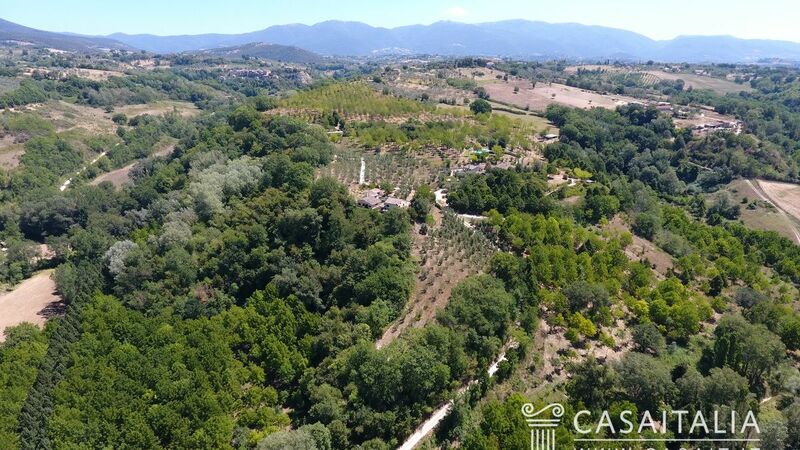 Characteristics: is a region of central Italy, universally known thanks to Rome, its millennial history and impressive monuments. 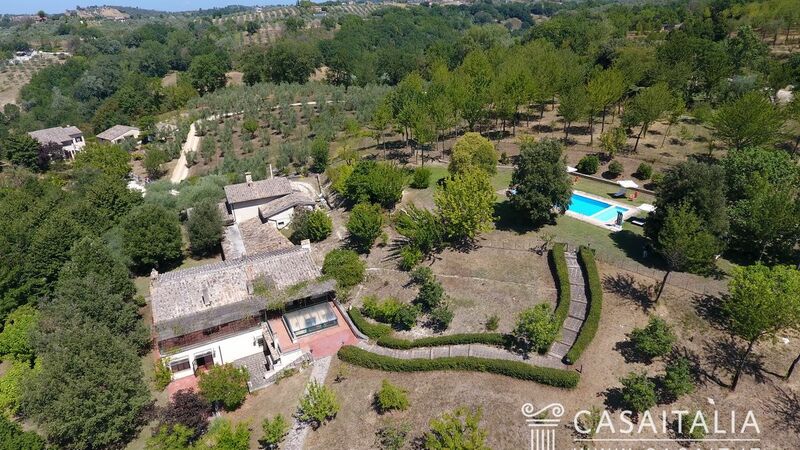 Apart from the fascination of historical cities and the multitude of cultural events and opportunities offered by the Capital, the region offers a also territory rich from the naturalistic point of view, thanks to its beautiful hills with vineyards and olive groves and to its famous beach resorts like Sabaudia or Gaeta. 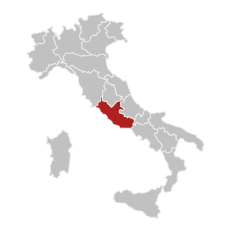 The position of Lazio region is central in the national territory and the region hosts the two International airports in Rome Fiumicino and Ciampino, several ports, including the most important, that of Civitavecchia town. 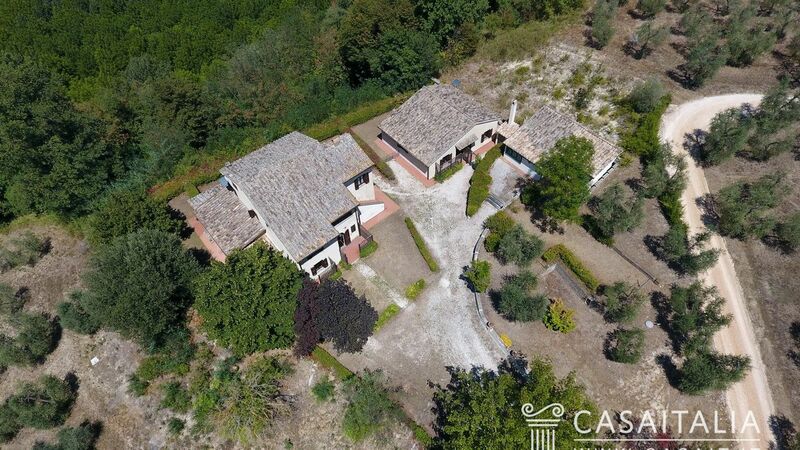 Property offer: Lazio offers a variety of properties and investments typology, from valuable apartments to luxurious hotels in the historical center of Rome, from the villas overlooking the Tyrrhenian Sea in the area of Circeo, in Sperlonga, Gaeta, Fregene, to the farmhouses in the countryside of the hinterland.